Tomorrow is the premiere of The Hunger Games: Mockingjay Part 1. 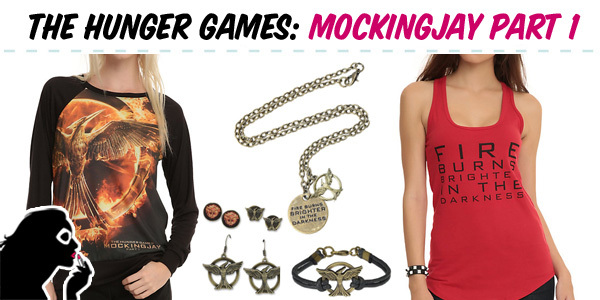 Like with past Hunger Games movies, I was eagerly anticipating what new merchandise would be in store for fans of Panem. In previous years, we’ve seen custom nail polishes, makeup, and even couture clothing collections inspired by the films. Unfortunately, it looks as if we won’t be seeing any of those things this year. My guess is the content of these next two movies isn’t exactly conducive to fashion from the Capitol. 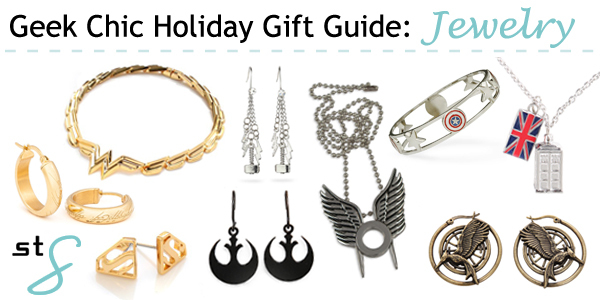 However, that doesn’t mean you can’t show off your support of the rebellion with the merchandise below.